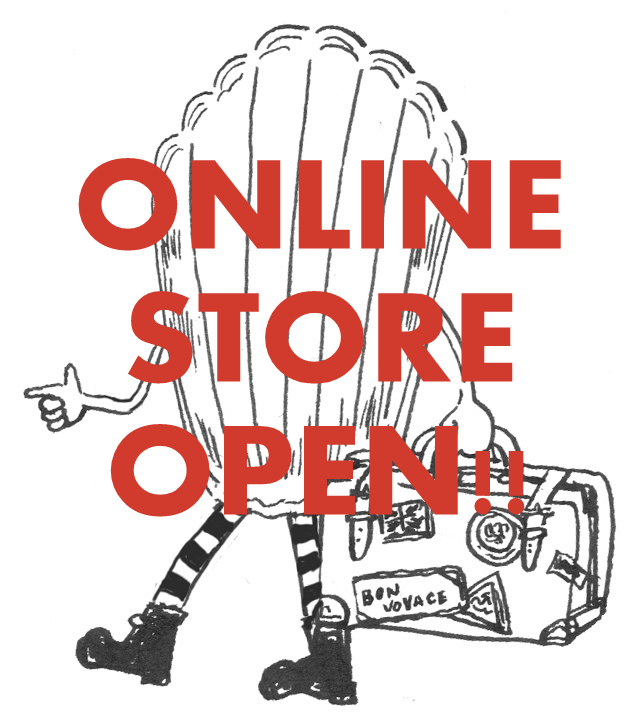 When I booked the tickets to Paris, of course I thought about buying vintage items for The Mad Vintage. But I knew vintages in Paris is quite expensive. I asked someone in Paris who loves vintage about flea markets in Paris. She told me that there were several markets which I can buy vintages with very reasonable price, but those markets were closed in winter. Shame! But, how can I miss vintage shopping in Paris? I went to my favourite market in Paris, Marche aux Puces de Vanves. 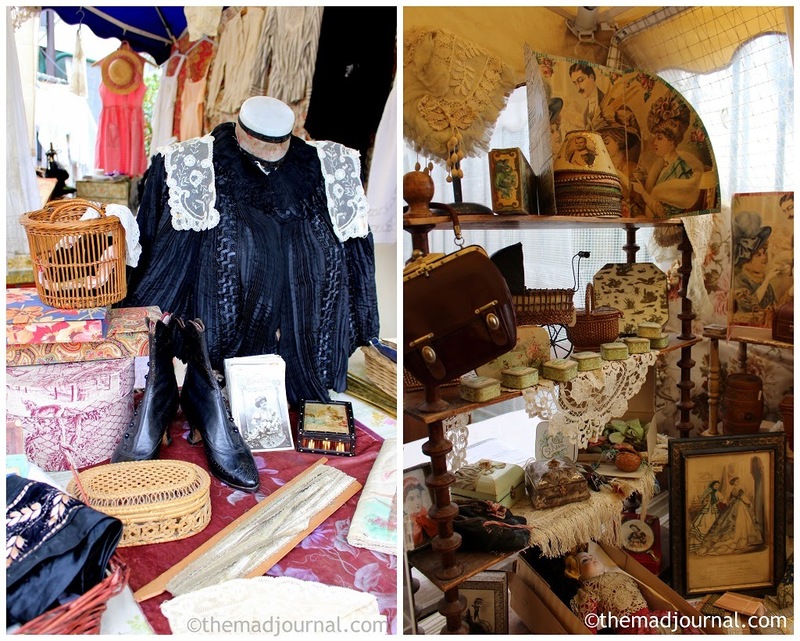 I think that there are 2 famous antique markets in Paris, Clignancourt and Vanves. I, for sure, prefer Vanves. It's compact and reasonable prices compared with Clignancourt which is like shop rather than market. I often find French vintages in UK and see French traders in big antique markets in England. I really love this market and there were really lovely junk and gorgeous genuine antiques, but I think this is not good for me to buy for my business. Lovely small bowl... Very French. 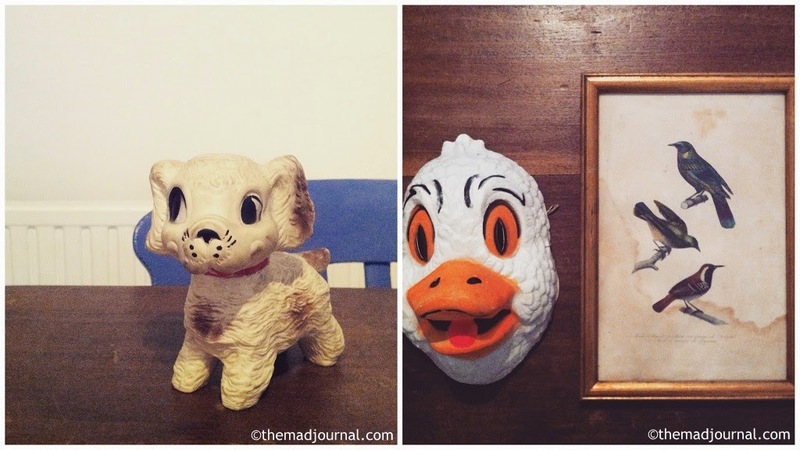 Cute doggy and funny duck face, and classic drawing for The Mad Vintage shop. I think that the best harvest in this trip was I got a discount for those items with MY FRENCH!! 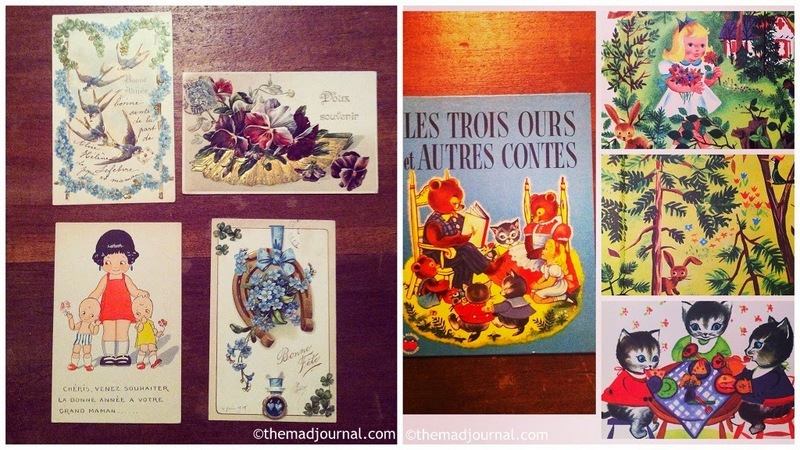 Lovely antique cards for The Mad Vintage shop. And this children book was for my French study and my future baby. I loved the cute illustration, it's from the 50's.